Writing Down the Bones by Natalie Goldberg. I was assigned Writing Down the Bones by Natalie Goldberg for a creative writing course in college. We were supposed to read a chapter or two a week, but I had a hard time putting it down and ended up inhaling the entire volume in a couple of days. It’s one of the best writing resources on the market, but what’s great about this book is that it’s a blast to read. Goldberg, who has penned a number of books about writing, including several well-known writing resources, mastered the mechanics of writing in college. It was later that she discovered how to tap into her creativity and write more artfully. Four years after that discovery, she began teaching writing workshops and has since become a widely adored master of the craft. Writing Down the Bones is a good place for young or new writers to start. 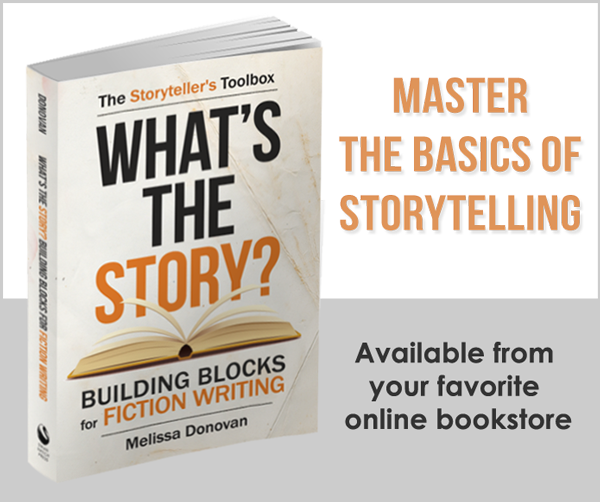 The first chapter discusses pen and paper and how to select appropriate materials, supplies, and other writing resources. Yet the book is also ideal for seasoned writers who are ready to get serious about the craft. That’s where I was with my own writing when I was first introduced to this book, and it made me realize that writing could be more than just a way to pass the time when I was feeling inspired. Natalie Goldberg will teach you how to freewrite (she calls this the timed exercise), how to make writing a daily practice, and she’ll give you countless ways to explore your writing on a deeper and more creative level. From setting up your own writing space to finding topics to write about and unlimited sources of inspiration, she crams in enough ideas to keep you busily writing for years to come. With over seventy chapters, each just a couple of pages long, this text is a quick and easy read. At the same time, it’s packed with ideas, information, inspiration, exercises, and writing tips that will get you writing and keep you on task. 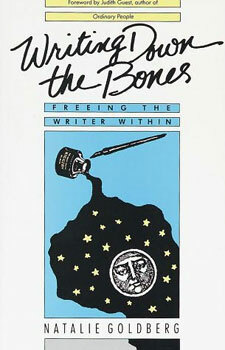 Writing Down the Bones is one of my favorite writing books, and the first one that I recommend to anyone who loves to write and everyone who shows the slightest interest in writing. Have you read Writing Down the Bones? What did you think of it? Are there any other books or writing resources for creative writers that you would recommend? I was assigned Natalie Goldberg’s book in a creative writing course. It started something. Today I own every book she has written. I can not recommend her highly enough. Nothing I can say could equate with the pleasure of reading her works. I use the spiral bound notebooks and am getting up there in personal library stature. Like she says though, we all write crap at times. To give ourselves permission to write crap also gives ourselves permission to write great stuff. If your read all her books, you get a look at how a great writer progresses through the years. She doesn’t sugar coat her way of life and tells you just how it is. Writing is damned hard work. The other book I read a lot, is Stephen King’s “On Writing”. He give you an in depth look at how a writer of his magnitude became himself. I might also mention I lived in Bangor, Maine. Stephen King is just the guy next door, with a serious case of “needs to write”. Between the two, how can you go wrong. I also read Robert Pirsig’s book back in the 70s. I have gone through several copies of it. It’s an old standby I keep returning to. I keep a copy of “The Elements of Style” in my bag along with whatever dictionary I am currently using. “Omit Needless words” is tattooed across my mind. I am a putter inner, so omitting is difficult for me. There are so many great sources out there, in print as well as on the internet. It is a difficult choice to decide what to read. Considering I read almost as much as I write, finding great reads have been no problem at all. Something you said bears repeating: “Writing is damned hard work.” People tend to think that anyone in arts or entertainment is living a carefree, work-free life. The truth is that we often must work twice as hard as people with conventional jobs. I haven’t read On Writing yet, but it is sitting in my reading stack right now. I’m looking forward to finally exploring it. Elements of Style is a staple as far as I’m concerned. I’m glad you read as much as you write. It will show in your work and pay off tenfold. I haven’t read this book in years, but I remember copying reams’ worth of passages into my journal so I could find the quotes again later. Definitely a good one. I like this on multiple levels. I like the reminder of master the fundamentals, then artify it and make it your own. It’s tough to really make the most of something, when you’re missing the basics. The fundamentals aren’t limiting, they actually free you up. I also like the reminder that you get better with time, as long as you work at improving. Nothing’s static, including your skills. You can grow better or you can grow worse. That’s just a little taste of Writing Down the Bones. You really have to read the whole thing. 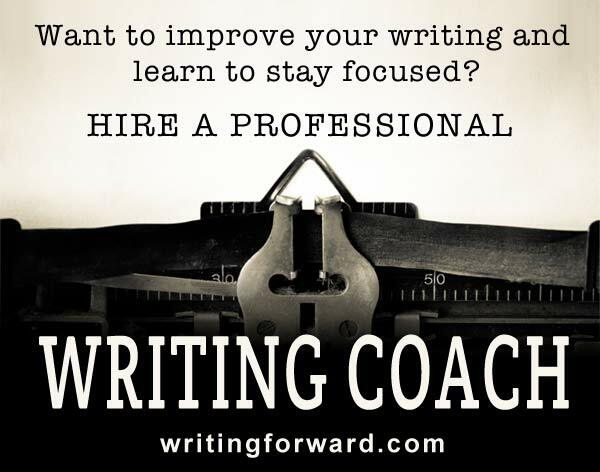 It will change your writing life, dramatically, and for the better. I love this book and have gone back to it many, many times over the years. Another favorite is Judy Reeves’s A Writer’s Book of Days. It’s a collection of daily writing prompts (like Room to Write by Bonnie Goldberg, but the content’s more meaty). It ensures I’ll have something to write about if I get stuck, and it has a prominent place on my reference shelf. I have heard of the Writer’s Book of Days, but it’s not in my collection. I’ll have to add it to my wish list. Right now I’m using a book of 1001 Meditations for prompts, and I’m loving it. I haven’t yet read it, but from the comments I think it’s a must-read-book for writers. Will surely get it. It’s definitely a must-read! So far, everyone I know loves it, and most people cite it as their favorite writing book. Great little intro to Natalie Goldberg. Writing Down the Bones is definitely one of my all time favourite writing books. I love her memoirs also which is where I first came to her writing. I have WDTB in the glove box of my car (pocket edition) along with a notebook and pen – available anywhere, any time! I also recommend it to anyone I know with an interest in writing and especially writing as a spiritual practice. Thanks, Puerhan. I have read a bit of Natalie’s poetry, but Writing Down the Bones is the only full-length book of hers that I’ve read. I’m reading it for the second time right now. It’s a pure delight! One of the things I love about this book is that you could either read it from cover to cover, or you could read a chapter or two whenever you have time. You can also pick it up and randomly read any portion of it. It’s put together in a way that however you read it, you’ll get some good gems of writerly insight. If you’re ever struck with writer’s block, just open it and you’ll be inspired after just a few pages. Hi Melissa: Yes, I have it, and I love it. Like you say, she goes beyond simply teaching others how to be wordsmiths and instead shows the reader how to breathe life into everything they write. I think this book, along with The Elements of Style and On Writing, (which I just finished) are the three most essential and best writing books out there. Writing Down the Bones is especially handy for inspiration and motivation. Thank you for the recommendation! I am on the search for great writing resources, and this looks like it fits the bill. Writing Down the Bones is a definite classic. Another personal favorite is On Writer’s Block, which covers far more reasons that we might imagine for that blank page staring at us… and lets us overcome each one. I’d love to check out On Writer’s Block. I’ll have to add that to my ever-growing list! For me there’s also another book: – The Artist’s Way by Julia Cameron which is – together with Nathalie Goldberg- an excellent combination. I would like to recommand the six sentences website as well. To write a full story in 6 sentences on a blog forces you to be compact but at the same time some stories could be the wonderful beginning of an excellent book. Then to end with as I like pictures&writing there’s this book ” a picture is worth 1,000 words by Philip Sexton with photos by Tricia Bateman. (see Kenya stories as almost all of them have an English version) For those who can read in Dutch or German: try camino the Santiago stories or as it is called in English: the Saint James Way. Reading – writing who can live without? The Artist’s Way is another excellent resource, and it shares some similarities with Writing Down the Bones. They go well together. I’ll have to check out the other recommendations you’ve shared. Thanks so much! I have a copy on my nightstand. I think it’s time to pick it up again. It’s such a wonderful book. Apart from ‘Writing Down the Bones’, I also recommend ‘The Right to Write’ by Julia Cameron and ‘The Courage to Write – How Writers Transcend Fear’ by Ralph Keyes. I have The Artist’s Way by Julia Cameron; it’s a staple. I’ll have to look into the other titles. Thanks for your recommendations. I’m always looking for suggestions.